Within the past year, our DIY skills have improved. Gone are the days when we nearly sliced our fingers while constructing our first DIY Fiesta medal. Today, we’ve brought out the big guns in the form of a laser cutter, and some good old fashion elbow grease. Now, we’re sharing our love of DIY and Fiesta with you all! 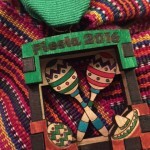 We’ve teamed up with the San Antonio Public Library for some upcoming workshops, “Kick Start Your Fiesta with DIY Fiesta Medals”. We’ll be at seven libraries starting Saturday, March 22 until Saturday, April 16. The workshops are open to the public, and are free to attend. We’re thrilled to be hosting these workshops. 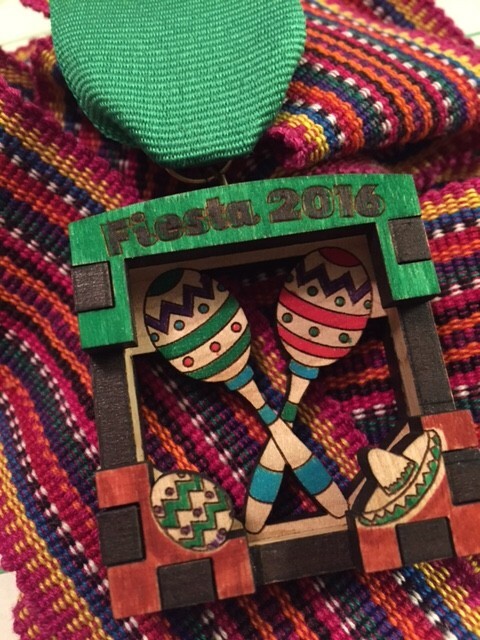 We’ll be making DIY-inspired Fiesta medals using laser cut, etched and 3D printed materials. 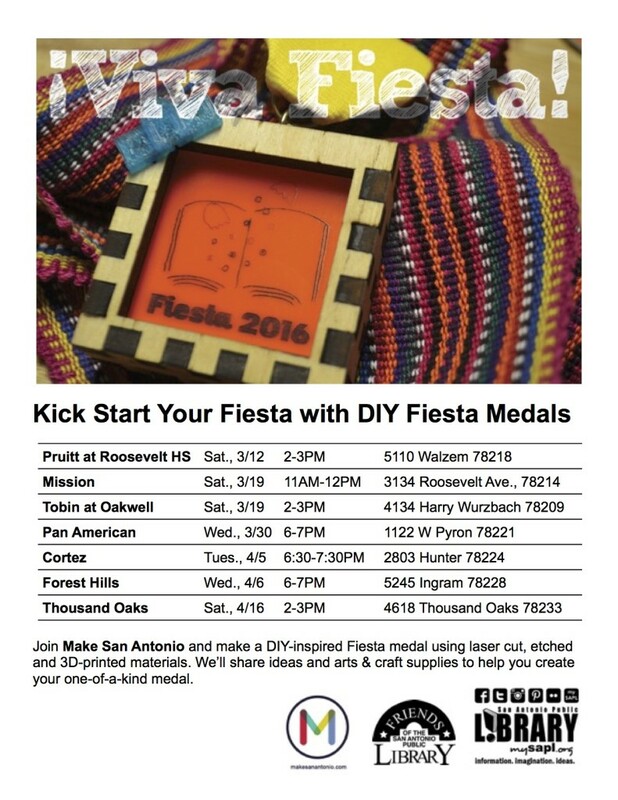 Yes, that’s right you can create your very own DIY Fiesta medal. 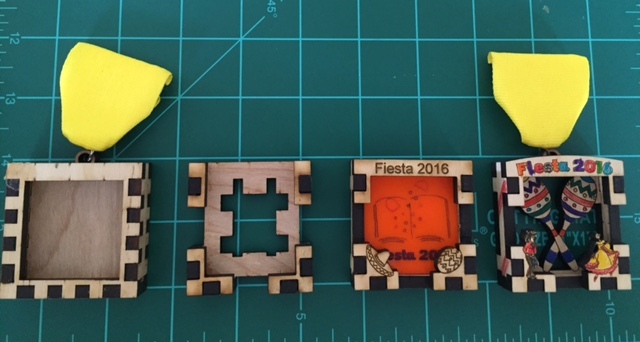 From left to right shows the progression of our 2016 DIY Fiesta medal for the San Antonio Public Library. I love it my nephew who lives in Dallas told me about makers pace up there. So, I looked it up here in San Antonio. ….AND WOW.!!! Can hardly wait to come to a class.